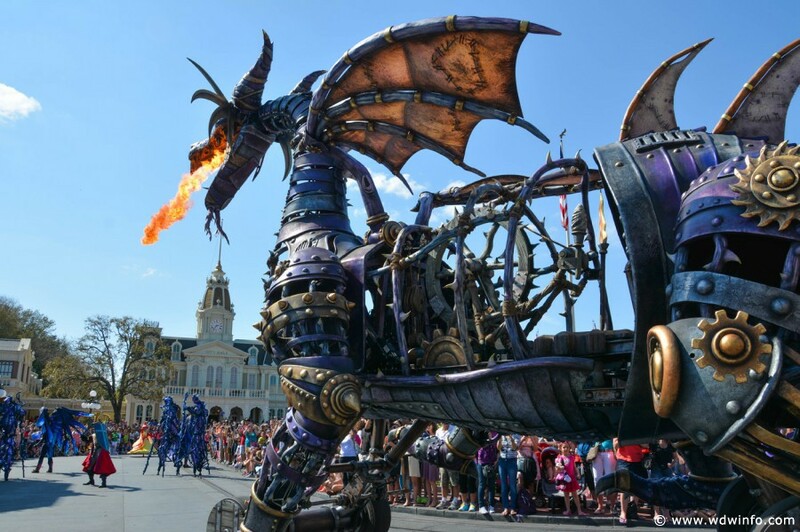 The fire-breathing Maleficent Dragon float in the Festival of Fantasy Parade caught fire in the Magic Kingdom today, May 11. The parade promptly ended and the fire was put out. Fortunately, it is believed that no cast members or guests were injured. Here was the Maleficent Dragon float after the fire was put out.